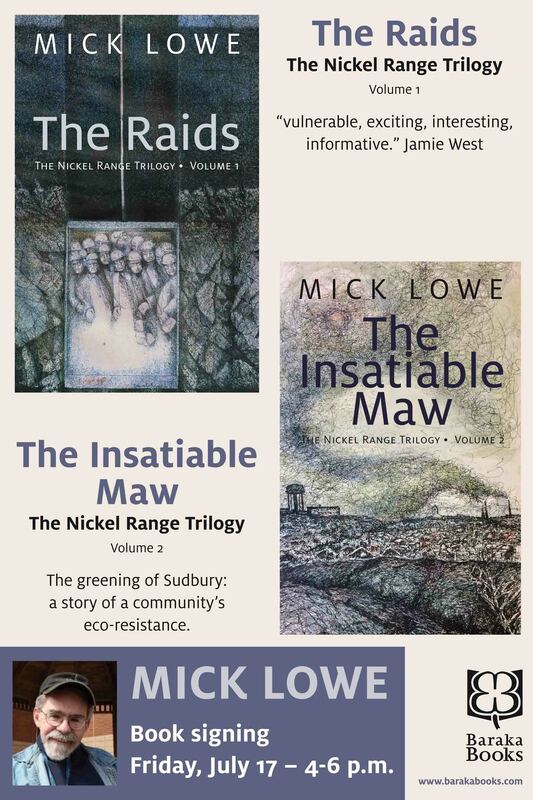 Mick Lowe’s first two books in The Nickel Range Trilogy, The Raids and The Insatiable Maw are now on sale at the Sudbury Costco. Mick will also be signing books at the store on Friday, July 17 from 4 to 6 p.m. People from all points in Northern Ontario who stock up at the Sudbury Costco can now also stock up on great stories by a guy who has spent his life writing them. The Raids, published in May 2014, tells the story of hard rock miner Jake McCool and the epic inter-union battle fuelled by the Cold War. 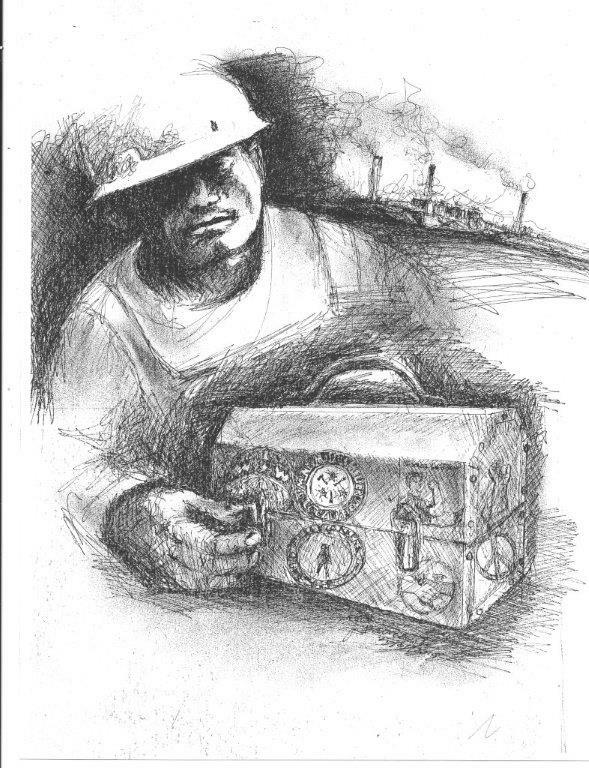 Based on real historical events, this fast-paced novel is also “a compelling story of political power, love and hatred all rolled into a gritty, hard-hitting novel of the Nickel Range,” as former miner and Local 6500 President Dave Patterson described it. The Insatiable Maw, which is just out, follows Jake, the injured hard-rock miner, into the Copper Cliff smelter complex. The fight for decent and human working conditions there sparks intrigue at the smelter that echoes all the way to Toronto and results in the greening of Sudbury. 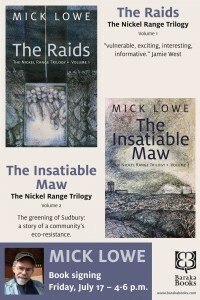 Mick Lowe is hard at work on the third volume of The Nickel Range Trilogy, which will take us into the bitterly fought year-long strike of 1978, while following the lives of his fictionalized characters introduced in The Raids and The Insatiable Maw. Both books are handsomely illustrated with original work by Sudbury artist Oryst Sawchuk. So now’s the time to get volumes 1 and 2 of the Trilogy so that you’ll be ready for the promising finale.